There are so many awesome apps and great uses for the iPad, it's easy to fill up the limited storage space, especially for those with the 16 GB model. But are you using more space than you actually need? It's not always the big things that get us like the chunky 1 GB blockbuster game you download from the app store. Oftentimes, it is a lot of little things that end up using up all of our extra storage. 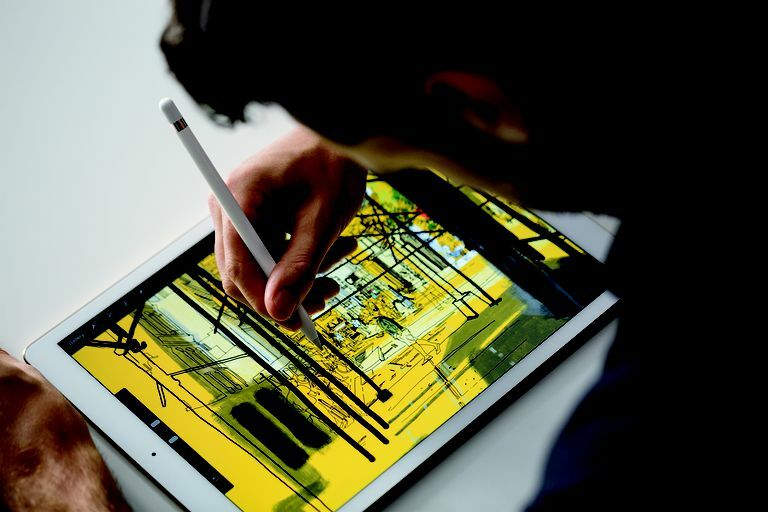 Here are a few tips that will help keep your iPad lean and ready for more. One of the best features of the App Store is the lifetime membership you gain anytime you purchase an app. Whether you're downloading it to the same device or installing it on a brand new device, you will always have the option to download any previously-purchased apps so long as you are using the same Apple ID. This means you can buy one app and download it to multiple devices (including the iPhone and iPod Touch for apps that support those devices), but perhaps more importantly, you can feel free to delete any apps knowing you can download them again. If you are running low on space, a simple purge of apps that you no longer use can go a long way toward freeing up enough storage. Believe it or not, your storage problems may not be an app issue, they may be a photo issue. "My Photo Stream" can be a very handy feature, but it can also take up a lot of space. My Photo Stream uploads a copy of every recent photo you take on your iPad or iPhone to iCloud and then downloads them to each device. If you have this photo stream turned on, all the photos you take on your iPhone are sent to your iPad. When Apple introduced iCloud Photo Library, the My Photo Stream feature became redundant. While it offers a slightly different way of synchronizing photos between devices, in most respects, iCloud Photo Library is a better option. The Photo Library stores the photos in iCloud, so you can get at them on your Mac or PC as well as your devices. And while it will download the photos to your iPad, you can choose to optimize the photos. This optimization is on by default and downloads a lower resolution picture to your iPad to use as a thumbprint rather than downloading the highest resolution (i.e. biggest photo size) for every photo. Another great way to leverage iCloud is to use iCloud Photo Sharing rather than iCloud Photo Library. With iCloud Photo Sharing turned on, you can still see photos in your shared folders, but your iPad won't download every single photo connected to the Photo Library. This is great for getting a subset of pictures. A good way to do this is to create a custom shared folder specifically for sharing photos and videos to all of your devices. While it may sound like Automatic Downloads is a big time-saver, it can also be a big storage-waster. By default, this feature will automatically download new apps, music, and books purchased on the same iTunes account. This means your iPad can download the app just bought on your iPhone automatically. Sounds good until you run out of space with a bunch of apps you only use on the iPhone and the new Radiohead album. If you aren't the only one using that Apple ID, this can really get out of hand, so it is best to hit the iPad settings and turn off automatic downloads. You can get to it in the App Store and iTunes settings. One great way to have access to your photos without having them take up space on your iPad is to keep them in the cloud. Dropbox offers up to 2 GB of free storage, and not only does it make a great way to gain access to photos and other documents, but it's also a great way to transfer files from your iPad to your PC. If all you want to do is stream music and movies, there's really no need to use up precious storage space on your iPad or go with an expensive solution like an external hard drive. Home Sharing will allow you to share music and movies from your iTunes library to your iPad, which essentially turns your PC into external storage for your iPad. The only prerequisite is that you must have your PC turned on with iTunes running and you must stream over Wi-Fi. And because we mostly use our iPads at home, this makes home sharing a great way to save a ton of space on the iPad. Your entire movie and music collection can be at your fingertips without taking up space on the iPad, and if you do want to watch a movie while on vacation or listen to some music while on the go, you can load a subset of your collection on your iPad. Home Sharing is a cool feature, but most of us would be just fine streaming music from Pandora or one of the other streaming apps. And if you have a subscription to Apple Music, you can stream to your heart's content. You can even download a select playlist for those times when you don't have Internet access. The same works for movies. Any movie or TV show you buy through iTunes is available to stream. You can do the same for Amazon movies and shows by streaming them through the Amazon Instant Video app. When you combine this with Netflix, Hulu Plus and the other streaming options for movies and TV, you shouldn't need to store these videos on your iPad. Another great way to access your music, movies and photo collection without taking up storage space on your iPad is to buy an external hard drive. The key here is to buy an external drive that either has Wi-Fi or supports being connected to your router. This allows you to gain access to your media and your documents via Wi-Fi. But before you buy an external drive, you will want to make sure it is compatible with the iPad. Not all external hard drives have an iPad app that will give you access to it.